This year’s WC was special for me, as I’ve been a fan of the German team ever since I was schooled about footy in London. I was a Chelsea girl – mainly because I was obsessed with Michael Ballack at the time – but during the 2006 games, it was hard not to love a team with players like Ballack, Kahn, Schweinsteiger, Lehmann, Klose, etc. Unlike other teams that have a couple key players that stand out, Germany has had a solid roster of disciplined footballers. So needless to say, I was cheering for them from the beginning and I don’t think any team this year deserved to win more than they did. AND WITH THAT… I give you my official 2014 World Cup awards (Mala style). Most Even Match: Brazil v. Mexico. This was the first draw I’ve watched, after which I actually thought “Damn, that was a good game”. Both teams were consistent, the pace was fast, and the technique was great. Props to Ochoa for blocking all of Brazil’s shots. Most Improved: I get a lot of crap from Americans for not being a Team USA supporter, but keep in mind – I didn’t even like footy until I moved to the UK. I learned about it during my time in Europe, watched with European fans, familiarized myself with their players, lived in their territory, etc. So deal with it. But I do need to give credit where credit is due, and I must say… the American squad was MUCH better this time around. In 2010 they were diving, whining, and too many of their “passes” were clearance kicks. Howard also proved himself to be a world class goalkeeper. They still have a long way to go, but I was impressed with their performance. Most Polite Fans: Japan. After their 2-1 loss to the Ivory Coast, the team did a group bow to their fans… and then the fans cleaned up their own seating area. We’re talking walking between the aisles and filling trash bags. Here’s the whole story. 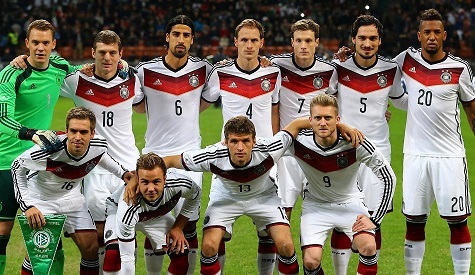 Hottest Team: Germany. There’s hot players on most of the teams (and I can tell you from personal experience that footballers have the best butts out of any sport) but as a whole, the German squad was tops. Buzzfeed did a hilarious writeup about the guys that I won’t even try to top. Fastest: Robben. Okay, he dove a lot. But he also became the fastest player in World Cup history by running at 37KPH during Holland’s match against Spain. 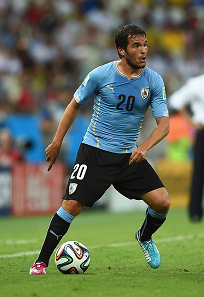 Best Uniforms: Uruguay. They’re baby blue and tight as hell. Ain’t nothin’ wrong with that. Best Last-Minute Goal: Portugal v. USA. That tap-in by Portugal to tie the game… literally seconds before the clock ran out… was awesome. 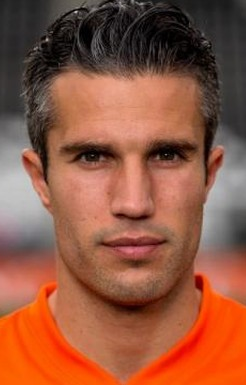 Best Hair: Van Persie. This one is for my girl Beks. I personally think he looks like one of those “good-looking evil villain” types, but his hair always looks perfect somehow. And that touch of gray really works for him. Best Name: Matip. For the past eight years, I’ve loved Schweinsteiger’s last name just because I felt cool for being able to pronounce it. But this time around, I have to give this prestigious award to Cameroon’s Joel Matip. Because when I saw someone write “(Just) Matip”, it cracked me the hell up. 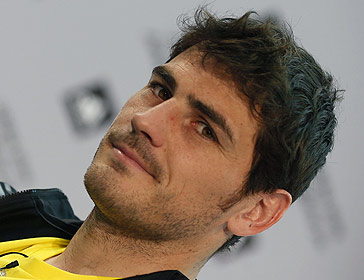 Best Eyes: Casillas. His eyes can go from “big brown doe eyes” to “sultry Spanish lover” in an instant. So he wins, even though Spain lost. Most Badass: Hulk. Because that isn’t even his name, yet it’s printed on his jersey. And he’s built like a friggin’ pit bull. Celebrity Look-Alike: Powder. 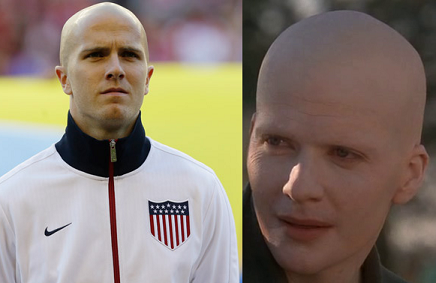 I mean, Michael Bradley. 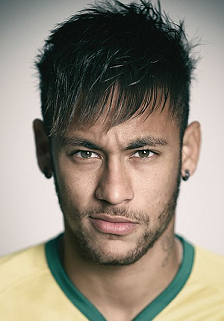 Cheekiest Player: Neymar. He even LOOKS cheeky. A lot of people seem to have a love/hate relationship with this guy – he dives and acts like a punk sometimes, but he gets the job done. Best Meme Inspiration: It’s funny… when I was watching the Uruguay v. England game, two things came to mind. 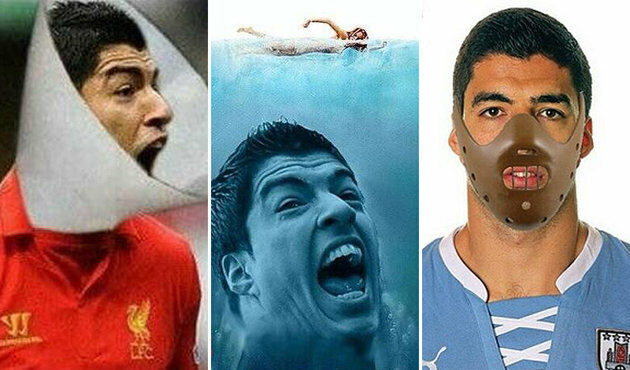 1) Suarez is putting on a major one-man show against my Brits, and 2) homeboy’s got some big teeth. So when he bit Chiellini – mind you, this is NOT the first time he has bitten a player – it was prime material for meme-makers everywhere. 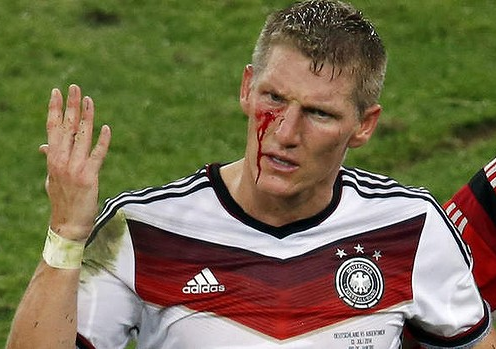 This is what he looked like just before Germany won the World Cup. 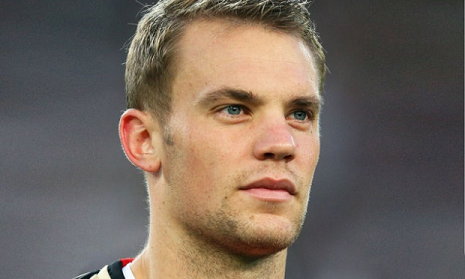 Most Solid Player: Neuer. No, it’s not because I want to have mixed babies with him. 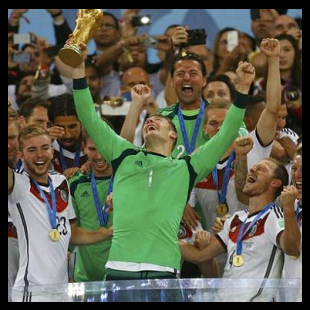 Throughout the entire WC, Neuer has performed consistently. He has the ability to calculate plays, he’s proactive, he has no problem leaving his box to help his defense if they’re flailing, he’s cheeky enough to run around the midfield, yet he maintains a high level of composure and a stoic expression. Also, his clearance kicks always seem to land in the perfect spot to set his team up for a goal. 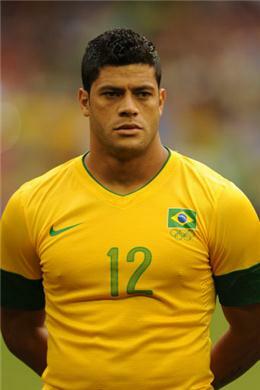 His performance against Algeria was phenomenal. Most Missed: Ronaldinho – or as I affectionately call him, “Horsie”. I miss his crazy footwork and flashy style. Maybe if Brazil didn’t make the mistake of dropping him from their roster, they wouldn’t have been slaughtered as bad by Germany. 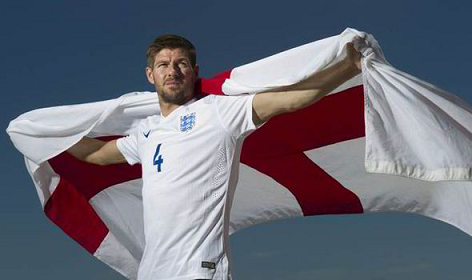 Seniority Award: Steven Gerrard. I know England sucked, but I’ll always cheer for them. And Gerrard deserves a shout out for being a great captain throughout the years, and bringing a sense of class to the field.